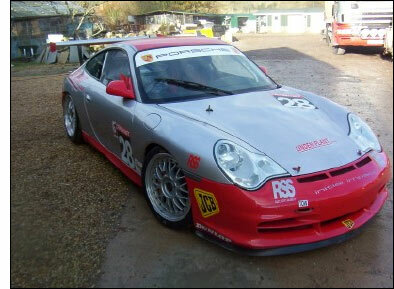 Graeme Mundy reports that “I have signed Jamie Smyth to drive with me in 2006 Avon Tyres British GT Championship. “The car (an ex-Tech 9 Porsche GT3) will be run under the banner of a new team formed by myself and Andy Bennett, called RSS performance. Munday did make one appearance in this car in 2005 – at the August meeting at Silverstone, partnered by Richard Stanton. Jamie Smyth raced a DAMAX Ferrari 360 last season. The Porsche will be out testing at Silverstone today, and team and drivers will of course be back at the track for the Avon Tyres Championship media day at Silverstone on March 22.